Within three years of becoming all the rage among management students, fewer start-up job offers have been seen at Indian Institutes of Management (IIMs) this season. Traditional sectors, on the other hand, are making a comeback. Start-ups have slowed down hiring from the country's premier B-schools, giving way to telecom, real estate, consulting, finance and FMCG companies. IIMs said these sectors are recruiting more graduates than last year. Start-ups, especially the e-commerce players, are either staying away from these campuses or recruiting in much smaller numbers than last year. For instance, at IIM Bangalore (IIM-B), Snapdeal, which made offers in double digit last year, is not visiting this year. Similarly, Ola is learnt to be reducing the number of offers at IIM-B, which is yet to conclude its placement process. IIMs say compared with the last few years when, plush with funds from investors, start-ups recruited in large numbers, the industry is in the process of rationalisation. This financial year saw the likes of Housing.com, Foodpanda and TinyOwl laying off workers. "Traditional sectors are coming back. They always come, but this time they are hiring more. E-commerce was a substitute for marketing and now traditional marketing roles are making a comeback. In the last three years, there was a lot of traction among start-ups. 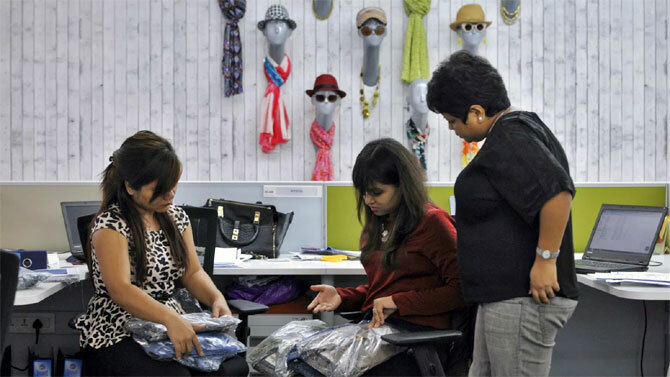 They were hiring year-on-year on an incremental basis," said Sapna Agarwal, head - career development services, IIM-B. "This year we are not seeing that. Instead, they are decreasing the numbers, or keeping it the same, or not coming at all," she added. The other reason behind the decline in start-up hiring at IIMs could be seasonality of the industry and "over-hiring" in past few years. "Probably they now have enough manpower to take care of the current load," says Agarwal. Rishikesha Krishnan, director of IIM Indore (IIM-I), is of the view that the start-up industry, especially the e-commerce firms, could be witnessing a cyclical slowdown. "I think it has to do with seasonality, cyclicality and more of the other things. For example, if you look at last year when the e-commerce start-ups were really going great guns and there was a lot of hiring from them. But I think they over-hired last year. Therefore, this year there has been less hiring. Obviously, it will go up and down with the cycles of the start-ups themselves," Krishnan added. Final placements are yet to conclude at IIM Indore. Similarly, at IIM Kozhikode (IIM-K), which wrapped up its final placements in record seven days, saw 28 per cent offers from consulting firms and 21 per cent from finance companies. The premier B-school also saw some of the first-time recruiters like 3M, Bank of America, Boston Consulting Group, Brand Accelerator, Capita, Caratlane, Credit Suisse, Ernst & Young, Frost and Sullivan, McKinsey, Mondelez, Schneider and Shell among others. In all, first-time recruiters together made around 100 offers at IIM-K. The placement committee of IIM Ahmedabad, which releases audited placement reports under the Indian Placement Reporting Standards, refused to comment on the issue.